On the South Coast Tour you will witness some of the most dramatic scenery the country has to offer. The tour includes many of Iceland’s most known locations. Waterfalls, black sand beaches, glaciers and the cosy village of Vík. If you want to experience some of Iceland’s most breathtaking landscapes in a single day, this tour is for you. Reserve your spot now to be amazed. 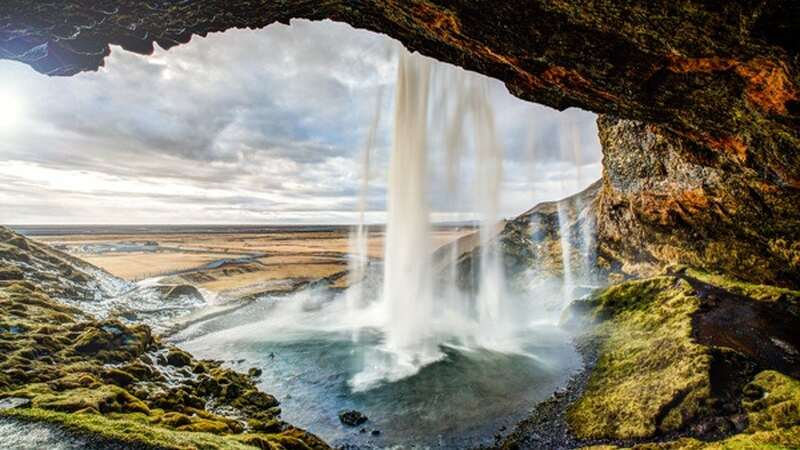 Iceland has a reputation of being a country born of fire and ice. 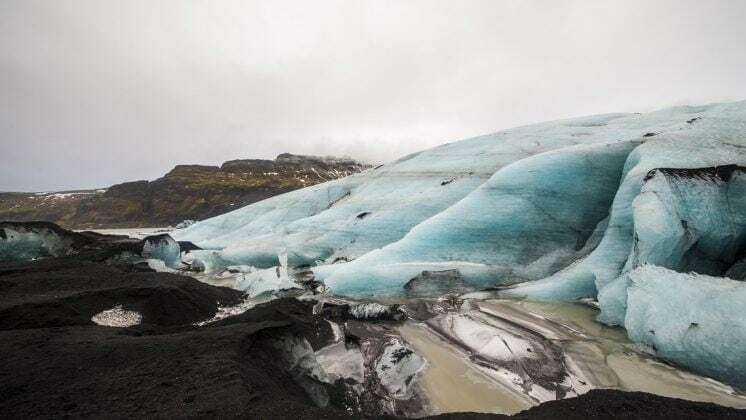 This reputation will become incredibly clear to you as you journey along the country’s southern shore where Glaciers and Volcanoes await you. The South coast of Iceland faces the North Atlantic Ocean and as a result the area often has the most extreme weather conditions. Glaciers, volcanoes and the weather have been a major factor contributing to the sculpting of the dramatic landscapes in this area. From black sand beaches to acres of green lava fields. The contrast creates a day trip where you will never be without something amazing to look at. You should prepare for an adventure. 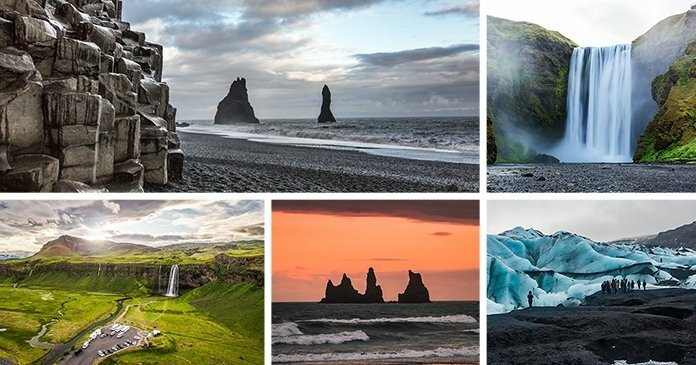 The Iceland South Coast day tour includes some stunning sights. A true introduction to Iceland. From Skógafoss and Seljalandsfoss Waterfalls to Sólheimajökull Glacier, Reynisfjara black sand beach and the village of Vík. More on each location in a bit. Excellent tour and tour guide. Took in all the sights and one or 2 unscheduled stops to look at other sights. Very informative and the sights were amazing. Southern Iceland is a beautiful part of the country and a must see when visiting Iceland. Our tour was amazing. We stopped at beautiful waterfalls, amazing black sand beaches, and glaciers. Our tour guide was very knowledgeable and ran a great tour. Seeing the countryside was great, you felt like you got to See the real Iceland. 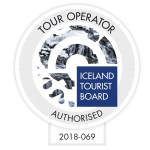 I would highly recommend this tour when visiting Iceland. Great day - long but well worth it. Plenty of snow and sunshine. Big supermarket near the black sand beach offers relatively cheap food for Iceland. Cafe and restaurant food also available. Take plenty of warm clothes and listen to the advice to be wary of the waves! 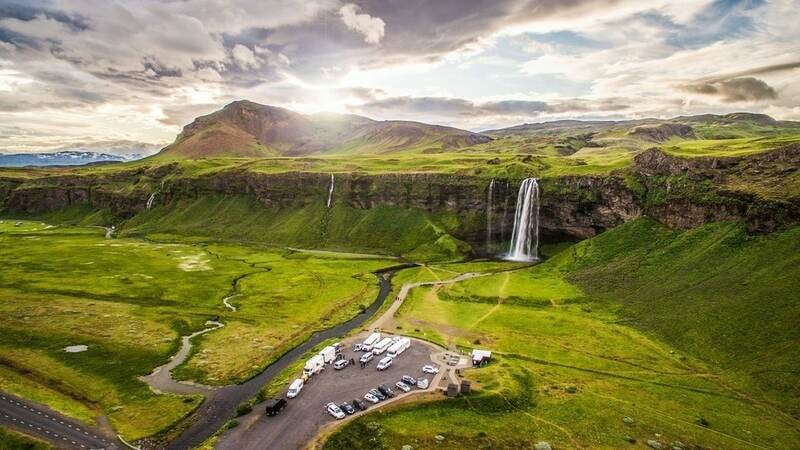 With an informative and entertaining tour guide you will manage to see probably the most beautiful places of Iceland in just around 10 hours. 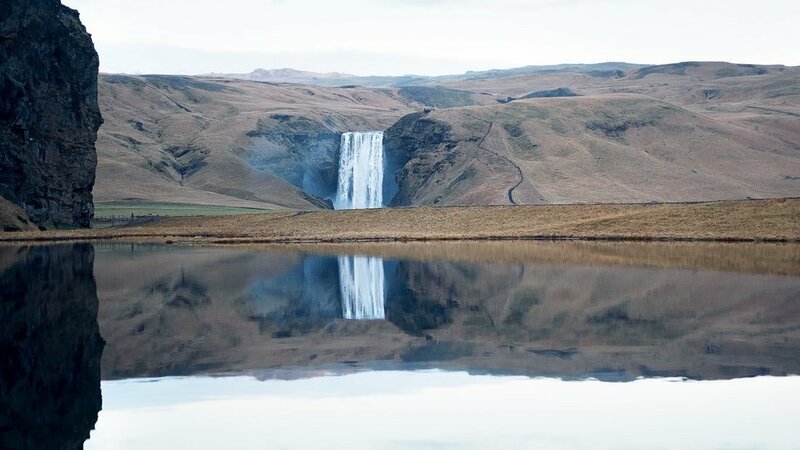 If you don’t have a lot of time, it’s one of the best ways to see Iceland. The landscape along the south coast is very diverse and beautiful. Let’s look at the attractions in more detail. The first stop is at Skógafoss Waterfall. This 65 foot tall waterfall is gorgeous in it’s own right. And no less impressive in winter compared to summer. The view from the stop is very beautiful. Where you will be able to get a birds eye view of the aforementioned contrasting surroundings. From here we will travel to the southernmost village in Iceland called Vík. This is a beautiful little fishing village, with only 300 inhabitants. It’s a small community but there are plenty of places for you to refuel and recharge. You can even pick up some handmade gifts made by the locals. 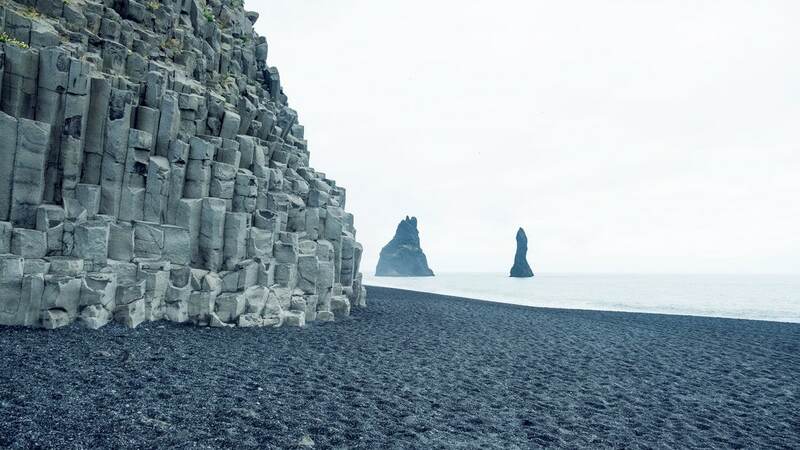 Close to Vík is the famous Reynisfjara black sand beach. The coastline has black sand beaches as far as the eye can see. These beaches are widely regarded as some of the most impressive black sand beaches in the country but the highlight of the area has to be the basalt columns. Beware, this place can be dangerous if you don’t follow your guides instructions. 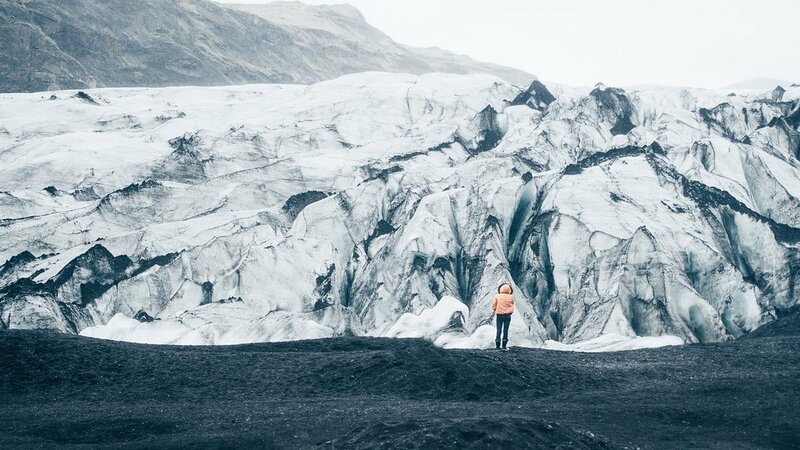 More stunning locations await you as we head towards Sóheimajökull Glacier. It’s a glacier tongue from the Mýrdalsjökull Glacier. This destination is a popular spot for glacier hikes since it’s more accessible than other glaciers. 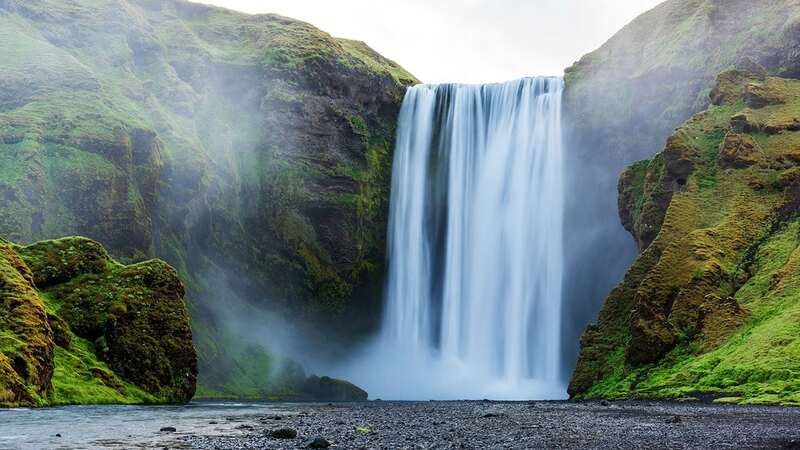 Our final stop on this guided tour is the Seljalandsfoss Waterfall, another stunning waterfall. But it might surprise you that it has a hidden talent. Seljalandsfoss gives you an amazing photo opportunity (conditions permitting). A small path leads you behind the mighty cascade of water! Yes, you can walk behind the waterfall! A very unique angle indeed. 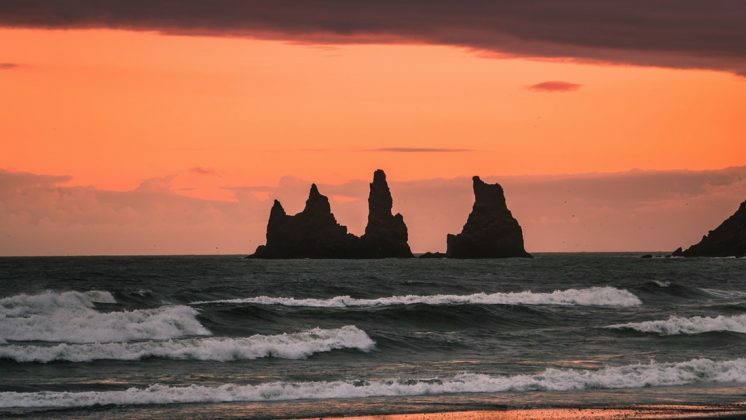 This well organized day tour from Reykjavík combines some of Iceland’s best locations into a single day. 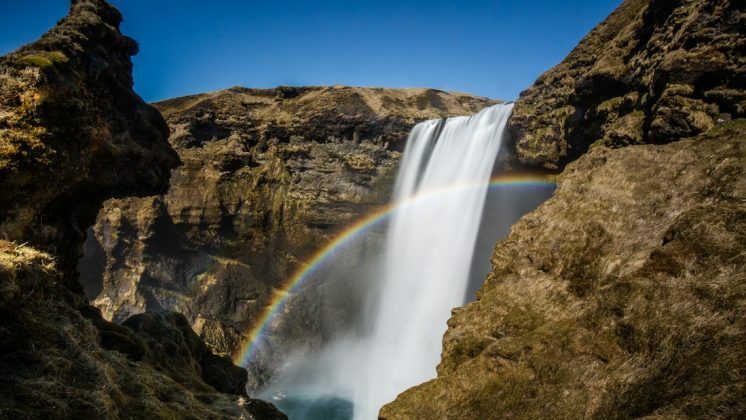 We can easily say that it’s one of Iceland’s top tours. Reynisfjara black sand beach is dangerous! The waves may look harmless but they are not! Please do not stand close to the water. Smaller waves are always followed by a big one – which within seconds can catch you and carry you out to sea. Please study the signs carefully. Follow the instructions from your guide! If you want to experience all those locations in an even more comfortable way. We recommend the South Coast Minibus Tour. It’s a small group tour providing a more intimate experience. 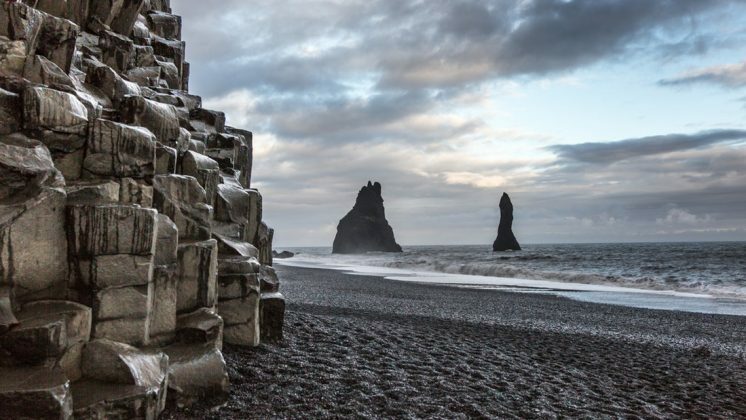 Start your adventure along the southern coast of Iceland. It’s an experience not to be missed. Book your seat now before it’s too late.